The American Prize: The American Prize STAGE DIRECTING AWARD renamed in honor of CHARLES NELSON REILLY. The American Prize STAGE DIRECTING AWARD renamed in honor of CHARLES NELSON REILLY. Charles Nelson Reilly, as he appeared in "The Life of Reilly"
The American Prize is pleased to announce the renaming of its award for stage direction in memory of Charles Nelson Reilly, the Tony Award-winning actor and Broadway stage director, acclaimed opera director and acting teacher. Charles Nelson Reilly won a Tony Award in 1962 for his portrayal of the character of Bud Frump in the Pulitzer Prize-winning musical, “How to Succeed in Business Without Really Trying.” A Tony nomination for creating the role of Cornelius Hackl in “Hello Dolly” followed in 1964. Far more than the zany television personality by which he was most often identified (Reilly was a regular on the “Match Game”, among scores of other television credits, and appeared as a guest more than one hundred times on “The Tonight Show Starring Johnny Carson”), Reilly nurtured the creation of a whole series of unique one-person stage plays. Most famously, he directed Julie Harris in her Tony Award-winning star turn in “The Belle of Amherst”, on the life and poetry of Emily Dickinson. Among his many Broadway directing credits were Ira Levin’s “Break a Leg”, Larry Shue’s “The Nerd”, and the revival of “The Gin Game”, starring Miss Harris and Charles Durning, for which Mr. Reilly was the sole American director to be nominated for a Tony in 1997. Late in his career, Reilly toured the U.S. in “Save it for the Stage: The Life of Reilly”, chronicling his life in his own one-man play. Mr. Reilly’s career as an opera director included productions for Chicago Opera Theater, Dallas Opera, San Diego Opera, Palm Beach Opera, Toledo Opera, Milwaukee Opera and Opera Pacific. Among Reilly's many acting students were Lily Tomlin, Bette Midler and Larry Burghoff. Reilly and The American Prize chief judge David Katz were friends for three decades, first meeting through their mutual Hartford voice teacher, Mrs. Friedrich Schorr. 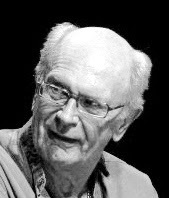 Charles Nelson Reilly was honorary chairman of The Friedrich Schorr Memorial Performance Prize in Voice, which Katz founded in 1990. The Schorr Prize became part of the The American Prize family of competitions in 2010. Reilly was also the original director of MUSE of FIRE, Katz’s acclaimed one-man play about the art of conducting. Today marks the eleventh anniversary of the death of Charles Nelson Reilly, on May 25, 2007. 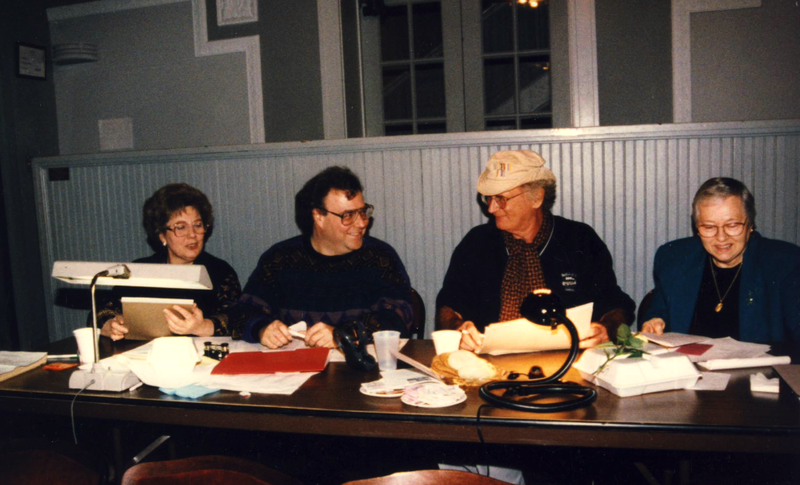 Judging The Friedrich Schorr competition in the Croswell Opera House, Adrian, Michigan, mid-1990s. From left: English soprano, Lorna Haywood, David Katz, Charles Nelson Reilly, Adrian College faculty, Betty Smith.